Melbourne jeweller Lauren Trojkovic's work brings together sculptural forms and subtle embellishment, adding in flashes of the unexpected. She is inspired by the exotic beauty of other cultures and regularly takes inspiration from the graphic shapes and elaborate embellishment seen in ethnic jewellery. Lauren’s work draws on these contrasting elements, textures and patterns in a contemporary way using precious metals, gemstones and Corian. 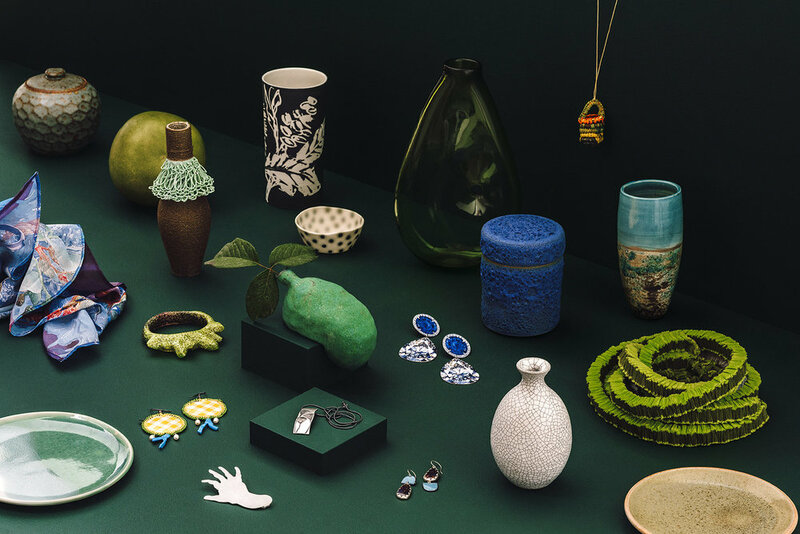 Having completed an Advanced Diploma in Jewellery and Object Design at Melbourne Polytechnic, formal training in graphic design and photography have also influenced Lauren’s process and thinking. Her pieces are brought to life using traditional metalsmithing techniques such as hand engraving and gem setting as well as the lost wax casting process.